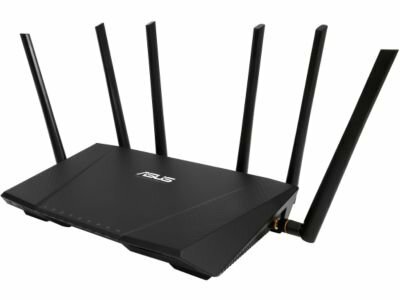 ASUS RT-AC3200 review, in summary, is about a Tri-Band Wireless Gigabit Router that is among the best gaming router that you can buy. When buying a router there are many factors which should be considered. In case you are buying for gaming purposes, then you should narrow your search to the best gaming routers. The router is easy to setup, you will just take less than 30 seconds and you will be ready to start your gaming adventure. There are different types of video games which you may be wishing to play but your internet connection is not allowing you to play them. You will not have to search for the strongest band for you to connect to manually. The router is made with great capability where it will search for the strong bands and connect to them automatically. This ensures you are always streaming while making use of the strongest network available. The router has both 2.0 and 3.0 USB ports. This allows the fastest data transfer to USB devices. In case you have been bored by the low speed at which you are able to transfer data to other devices, then you should consider buying this type of router. It also allows printer sharing. This will make it easy for you to print files in case you will like to have hard copies. There is also 3G/4G dongle support which ensures you are able to enjoy the fastest speed ever while gaming. With the USB ports, you will not be stressed on how to connect the device to the router. Cases, where you will be worried about the security of your internet connection, will be no more. The router comes with triple strength network security which will ensure whatever you are browsing is kept private. To ensure the security is not compromised, there is also a robust parental control to enhance the privacy protection. In any network connection, privacy is a matter that you should treat with great care. The router has been made with a great emphasis on the security of your data. For you to enjoy the best gaming adventure as well as enjoying the great security of your data, you should consider having the best gaming router which has been made with great security. Sometimes internet security can lead you to lose a lot in case it is compromised, but that will not be the case after you decide to buy this type of a router. This is a feature on the router that will allow you to sync, stream, and share data on any internet connected device. This is a great feature considering there are some moments when you will like to share data. In case you will like to use the router in your home, you will really enjoy sharing whatever you are streaming with your loved ones. For those who will like to use advanced network control. It will take less than 30 seconds and you will be through. The user interface is easy to follow which will make it easy for you to set the router to your desired configuration. Easy to Use and Understand user interface. Poor second 5GHz band performance. In case you are playing video games that require a high-speed internet connection for you to be able to play, you will be assured great performance after you decide to buy this type of router. With smart connect cases where you will be bored with a slow internet connection will be no more. This router has been made with ASUSWRT graphical user interface for them to easily change the settings. When installing the router you will also enjoy your time. This will even end up making you enjoy your stay at home with your family members enjoyable. You will not have to be stressed in looking for ways of pairing your device to the router, the feature makes it easy for you to share files on any internet enabled the device in your home. The ASUS RT-AC3200 Gigabit Router comes packed with many things including a support CD containing a user manual in PDF format and utility program. Six external antennas that are detachable, a router internet cable, a power adapter, a small quick start guide booklet, a warranty and of course, the router itself. The ASUS RT-AC3200 runs with a 19 volts power adapter, has 1 processor and a DDR3 SDRAM memory. It has 1 USB 2.0 Port and 1 USB 3.0 Port. The wireless type is standard like the one you connect to when you are at your favorite coffee shop more precisely 802.11 A/C but also 802.11 a/b/g/n. It’s black in color and it’s so light and compact that you can easily place it anywhere. Very strongly secured with top speeds and lots of features like parental control there's no doubt that this router is ideal for Online Gaming and Movie/Video streaming. I hope that this ASUS RT-AC3200 Review was useful to you.